Can't get the digger out of my mind since seeing Kevin Ness's Big Wheel. Some look very awkward but the ones that are done right just look so good. In the article for the Big Wheel there was a mention of painter Jeff McCann. I googled and found his flickr set and this pic. 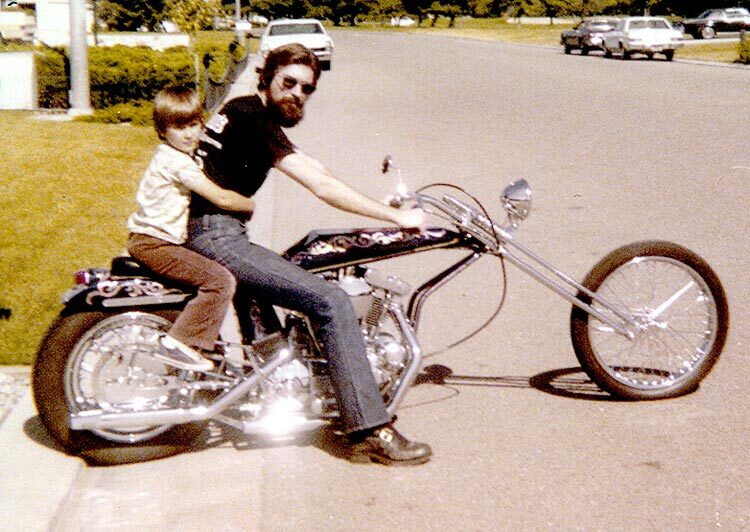 Him and his boy in 1976.